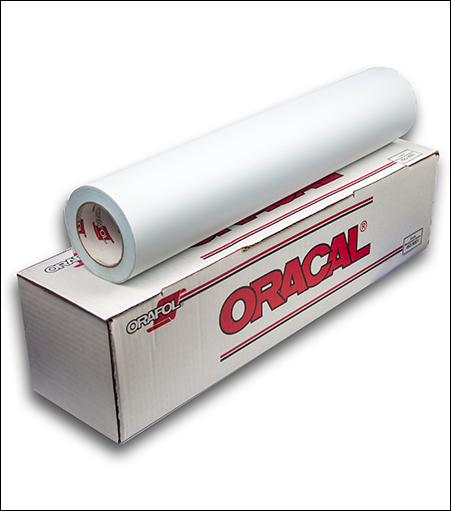 Oracal 631 Series is a 3 mil, 3 year exhibition grade calendered PVC film with a residue-free adhesive, removable up to 2 years. Formulated for short term and medium term outdoor applications as well as display, trade show and point of sale appilcations. 84# custom silicone coated paper with special release characteristics that provide excellent weeding and release values. Customized blue silicone paper liner for white provide superior contrast for weeding. Due to its special release characteristics, this film is ideal for use in short to medium term applications indoors, specifically on painted drywall surfaces.